How does cloud ERP create value by delivering faster functionality? Agility is the name of the game for businesses who want the ability to seize new opportunities and respond to new threats in their marketplace. Against this backdrop, creating a competitive advantage requires the ability to exploit new trends for gaining an edge in the future. The best example of this are businesses who build their enterprise technology on a cloud foundation. They are able to scale and grow faster, enter new markets before their competitors, and even disrupt their own industry. They achieve all of this by being able to adapt to the new demands of their customers – because cloud technology delivers new functionality at the same rate that customers’ expectations change. This is about value creation, and how we can leverage every capability for passing on greater value to our customers. 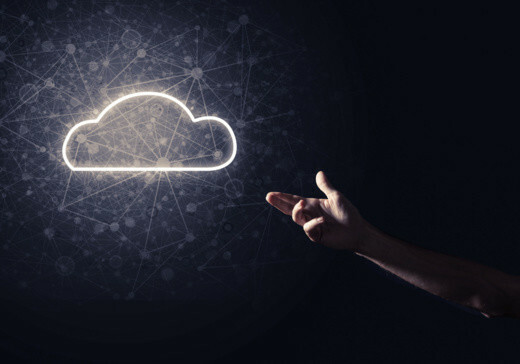 Intelligent cloud ERP creates this value by delivering speed, scalability and superior user experience to the enterprise – and it delivers these capabilities at a faster rate. Waiting for improved functionality from enterprise technology means missing out on opportunities and risking being disrupted by competitors. To face that challenge of new competitors and constantly changing demands of customers, cloud ERP accelerates the enterprise’s rate of innovation, in turn creating digital value. This is where we’re seeing the rising popularity of SaaS models that deliver regular updates. This leads to the immediate adoption of the value-adding functionality that can potentially create an unassailable competitive advantage. Best of all, the cloud offers the most affordable method for gaining these capabilities, and IT teams can focus their efforts on driving real business outcomes rather than spending endless hours implementing new software and patching updates. deploy – the new system can be implemented and core processes brought on board in weeks, as opposed to months or years. upgrade: upgrades pushed regularly through the cloud enable the deployment of new capabilities at a more rapid pace than on-premise deployment. adopt: user experiences are simpler and more intuitive through an interface that borrows from consumer-friendly applications, and offers mobile capabilities for remote workforce. It is commonplace to see customised on-premise ERP deployments taking years between upgrades. Additionally, updating an on-premise ERP can be held back by the complex integrations running with other enterprise software. Intelligent cloud ERP updates at multiple points during the year – delivering new capabilities such as streaming analytics and machine learning for outperforming your competitors. Applications that learns from your business users and proactively delivers the information they need is a potential force multiplier. And when intelligent cloud ERP systems are updated continuously, you can have confidence in the knowledge you always have the latest business-transforming technology. As the CEO and Chief Architect at Adita Technologies, my team and I work to understand our clients’ critical business processes and strategy so that we can develop a digital transformation roadmap towards implementing intelligent ERP, CRM and Marketing Automation within their business. If you’d like to discuss how your business can take the next big step in your digital transformation in order to discover a new competitive advantage, please feel free to get in touch with me via +61 405 981 679 or at kumar@aditatechnologies.com. ⟵What should you avoid when building a CRM system?